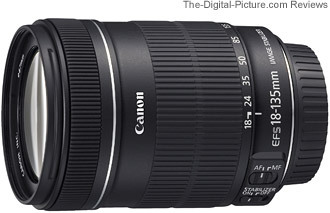 The Canon EF-S 18-135mm f/3.5-5.6 IS Lens is designed as a step up from the standard-at-review-time 18-55mm IS kit lens. The 18-135's most attractive features are a wide (7.5x) focal length range, a low price, a relatively light weight/small package, and a very nice IS (Image Stabilization) implementation. Let's review the physical lens first. Following is a chart that compares the 18-135 IS with many similar lenses. Many more comparisons can be made using the "Lens Specifications" link at the top of the review, but ... in this list, only the 18-55mm IS is lighter or narrower than the 18-135 IS. Even the 18-135's filter thread size is a relatively narrow 67mm. Narrow is a good descriptor of the shape of this lens as it has an average length to go with the narrow diameter. Here is a set of product photos that show the lens' smooth, narrow shape along with the extension range. The optional, nicely-sized, petal type Canon EW-73B Lens Hood shown above is the same model used by the Canon EF-S 17-85mm f/4-5.6 IS USM Lens. Obviously, and like all similar lenses, the Canon EF-S 18-135mm f/3.5-5.6 IS Lens extends/retracts with focal length change (1.69”/42.8mm). Unlike the Canon EF-S 18-55mm f/3.5-5.6 IS Kit Lens, the 18-135 focuses internally - and filters do not rotate when focusing. The 18-135's focus ring is a usable size (again, unlike the 18-55 IS) - 0.46” (11.7mm). The 2.39” (60.8mm) zoom ring, starting at the focal length numbers and ending immediately before the focus ring, consumes a majority of the outer lens barrel. While the large zoom ring size is appreciated, I found myself occasionally accidentally changing the focal length because of how I grip the camera when shooting. There is not much room to hold the lens behind the zoom ring when shooting in portrait orientation - the built-in flash is in the way. The 18-55mm IS and 18-200mm IS lenses are similar, but I don't remember noticing this with those lenses. The lens, primarily made of plastic, seems well constructed. There is little or no play in the extending portion of the lens or the zoom ring - which is also very smooth with a nice amount of resistance required to adjust it. The focus ring has very little play, but is light to turn and the adjustment happens fast - a steady hand is required for fine MF tuning. Like the EF-S 18-55 and the EF-S 18-200, the 18-135 IS uses a Micro Motor to drive AF. It is neither fast nor silent, but is adequate for casual use. FTM (Full Time Manual) focusing is not featured - this lens should be switched to MF before adjusting focus manually. Also, the focus ring turns when the lens is autofocusing which means keep the fingers off of it to prevent damage. The far-front position of the focus ring means that this is not much of an issue in use. Perhaps most important is that the 18-135 IS' focus accuracy is good. An out of focus shot is rarely a good one. The chart below shows that the 18-135's MFD (Minimum Focus Distance) is on the long side of the compared-to lenses. But, the 18-135's longer max focal length brings the MM (Maximum Magnification) value back up to about average. The 18-135 IS' focal length range fits between the Canon EF-S 18-200mm f/3.5-5.6 IS Lens and all of the other 18mm-or-so-to-something Canon lenses. Getting the right focal length or focal length range is one of the most important decision to make when selecting a lens, and the bottom line is that the 18-135 IS will properly frame a very wide range of subjects. Of course, proper framing is just the start of a quality image. The 18-135 IS is a relatively low cost lens and produces images with a quality in line with my expectations for such a lens. A wide open aperture produces somewhat soft center-of-the-image results and noticeably soft corners. The left side of the image from my lens was a little sharper than the right at 18mm, 24mm and 85mm - with more CA. As usual, stopping down the aperture one stop yields a nice improvement in sharpness - center of the frame performance becomes good though corner performance over most of the focal length range is still reasonable-but-not-exciting even at f/8. 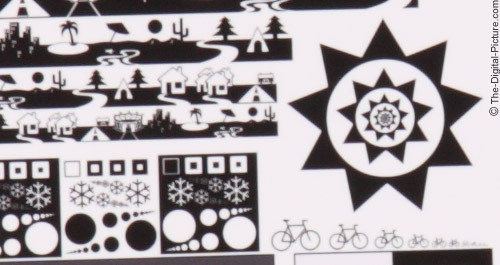 The sharp black and white details on the chart bring out the worst in a lens and real life images should look no worse. 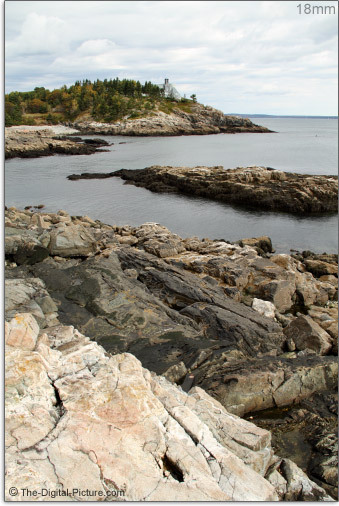 Very soon after receiving the 18-135, I left for a photo trip in Acadia National Park/Mt Desert Island, Maine with the 18-135 in the pack. You'll notice that many of the sample pictures were taken at this location. Using the 18-135 there gave me the same impression that the chart did - the lens does not produce exciting image sharpness, but quite acceptable at f/8 for the cost of the lens. Then I added 18-135 IS samples to the lens comparisons published with the Canon EF-S 15-85mm f/3.5-5.6 IS USM Lens Review. At the longer focal lengths, the EF-S 18-135 competes very well with even the best EF-S zoom lenses at f/8. Better results than I expected based on what I had already seen. I had to step back and re-evaluate what I had been seeing and, after many more sample shots, my best determination for those results is that the crops happened to fall in a sweet spot for this lens and were helped by a slightly harder angle of sunlight due to a being shot at a slightly earlier time on that day. The EF-S 18-135 compares a bit better in this particular comparison than it does overall, and that is image quality that is more on or slightly above a kit-lens level. I don't see flare as an issue for this lens. Wide-zoom-range lenses usually show distortion and the 18-135 IS is no different. Expect rather strong bulge-in-the-middle distortion at 18mm transitioning to slight pincushion distortion by 24mm. Pincushion distortion becomes moderate at 35mm-50mm and then slowly improves by 85mm but remains present through 135mm. CA (Chromatic Aberration) is noticeable in the corners at ends of the focal length range - especially the long end where CA is visible even in mid-frame areas. Expect to see some vignetting in the corners at the ends of the focal length range - About 2.5 stops of shading in the 18mm corners and 2 stops in 135mm corners. The amount of corner darkening becomes just-noticeable in the middle range of focal lengths and, as always, stopping down the aperture 1 stop makes a noticeable improvement in this regard. Image stabilization is a 18-135 IS feature that helps insure the highest image quality possible. Canon rates this IS implementation at 4 stops. Specific testing with this lens and IS switched off indicated that I need shutter speeds of 1/25 at 18mm and 1/160 at 135mm for a good keeper rate. With IS on, my acceptable keeper rate shutter speed was .6 and 1/6 sec (and 1/5 sec often proved adequate) at 18mm and 135mm respectively. That is 4 stops of improvement at 18mm and 4 2/3 stops at 135mm. Canon's 4-stop rating works for me. The above 135mm 1/6 sec exposure examples were captured in RAW format using an EOS 7D. 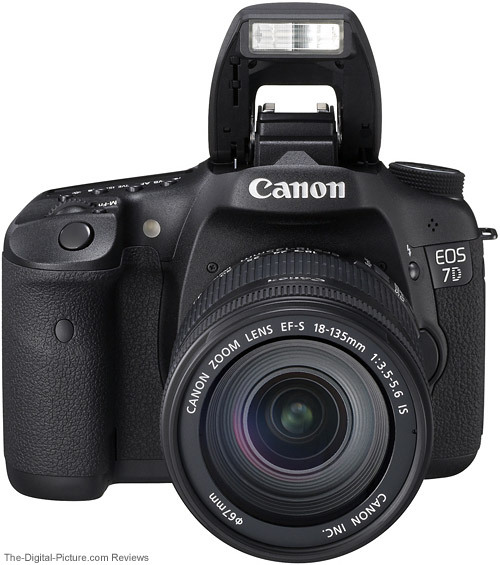 The Standard Picture Style was used with the sharpness setting reduced to "1" (very low - especially for the 7D). 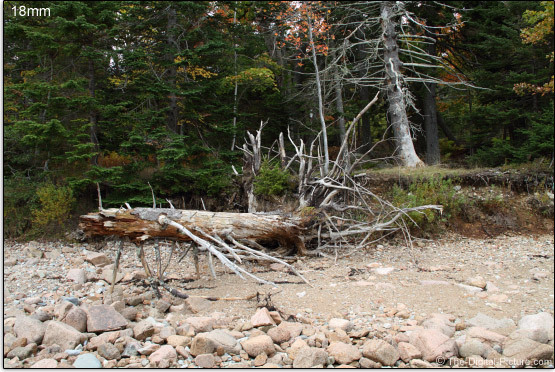 Image stabilization works. This particular IS implementation is very quiet - a light crackling sound can be heard if you put your ear next to the lens. IS is also well behaved - it does not cause the viewfinder to jump. As always with in-lens IS, the photographer is presented with a stabilized viewfinder - which makes subject framing easier and a more pleasant experience. Auto-panning is featured - a switch setting is not required for the lens to stabilize in one direction only. Of course, just because you can shoot at these long shutter speeds doesn't mean you should. IS does not keep your subject still. People move. The wind blows. IS is especially helpful on a relatively narrow aperture lens such as this one. Details of the aperture step-down are in the Lens Specifications link, but this is not a good lens for stopping action in low light levels - at least not without a flash. So, one year post the EF-S 18-200mm IS lens introduction, the 18-135 IS hits the streets. My thoughts? To be honest, my first thought upon hearing the announcement was - "Why?" 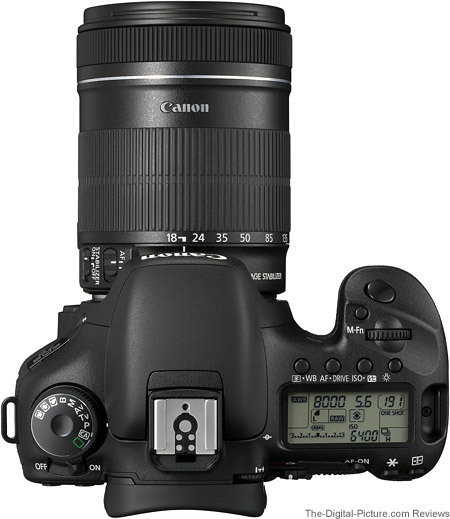 Canon already had a 17-85mm lens and an 18-200mm lens. Why did we need another 18-something-mm lens? 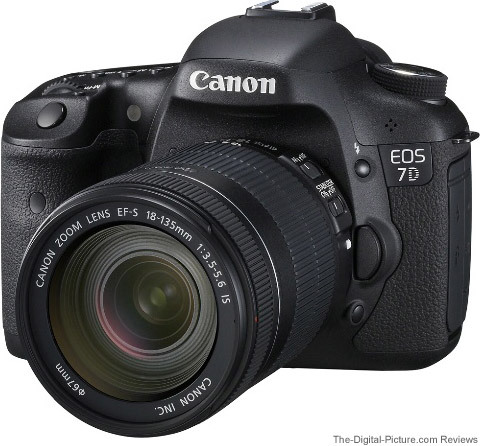 But after thinking about and using the new lens - and after seeing the price, its existence makes sense. While its focal length range is shorter than the 18-200's, the 18-135 is less expensive and has image quality that is similar or slightly better in sharpness and distortion. While the 17-85 has Ring USM AF, the 18-135 is a more recently-designed lens with a longer focal length range and image quality that is at least as good. The EF-S 18-55mm IS kit lens is a good value when purchased with a DSLR, but the 18-135 has a substantially longer focal length range and image quality that is similar on the wide end and better on the long end. 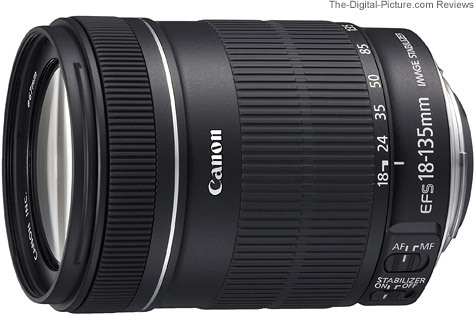 I could easily see the EF-S 18-135 being offered as a kit lens (it is in some countries now) in place of the frequently-offered-on-X0D-bodies Canon EF 28-135mm f/3.5-5.6 IS USM Lens. An 18mm focal length on the wide end is definitely a welcome change. I'm sure that one of the reasons for the 18-135 IS' existence to compete with Nikon's 18-105mm and 18-135mm lenses. If the EF-S 18-135 represents the extent of your budget, it is a good choice for capturing your memories. For a reasonably low price, the Canon EF-S 18-135mm f/3.5-5.6 IS Lens provides reasonable f/8 image quality over a wide focal length range in a relatively light weight/small package with image stabilization. It is a nice casual use lens for those on a tight budget.